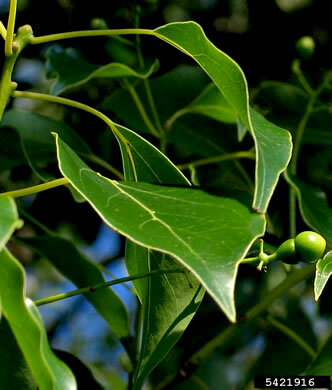 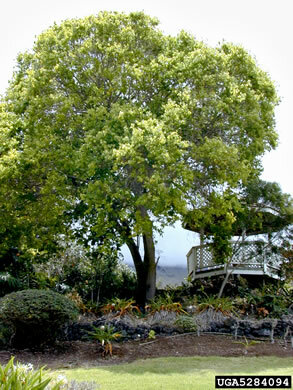 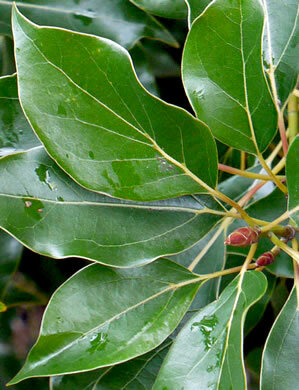 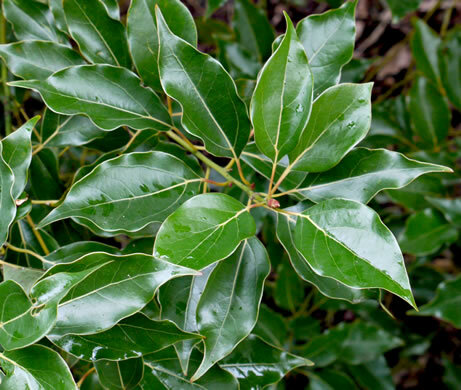 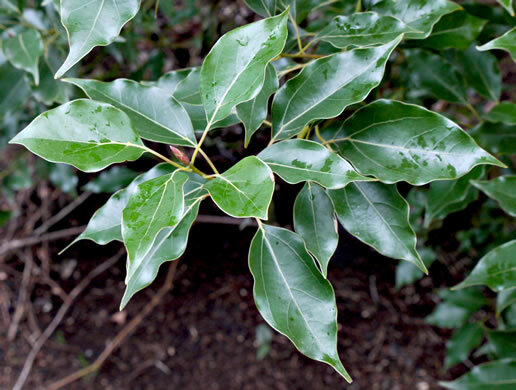 Leaves glabrous, long-petioled, spicy-aromatic when crushed, per Woody Plants of the Southeastern US: A Winter Guide. 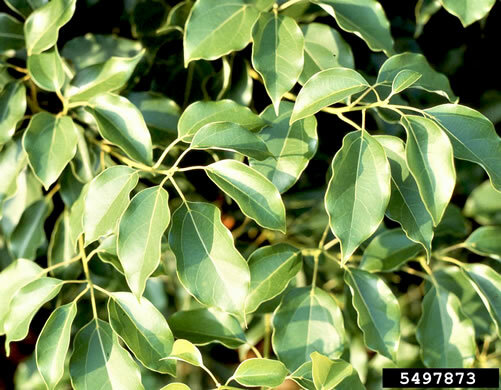 Leaf margins entire, yellowish-green, and wavy, per A Field Guide for the Identification of Invasive Plants in Southern Forests. 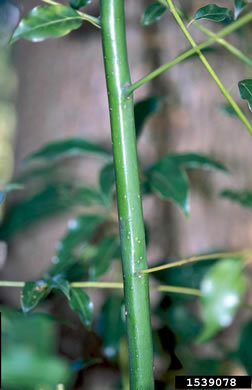 Buds 1.2cm long, sharp-pointed, with overlapping scales, per A Field Guide for the Identification of Invasive Plants in Southern Forests. 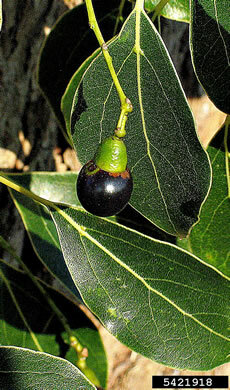 Many fleshy dangling drupes, turning black with a funnel-shaped green base, per A Field Guide for the Identification of Invasive Plants in Southern Forests. 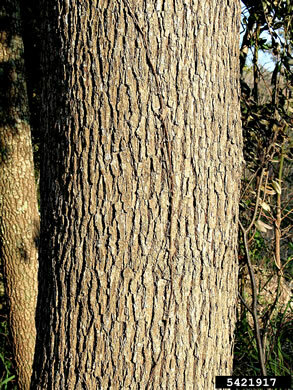 Bark brownish, fissured, per Woody Plants of the Southeastern US: A Winter Guide. 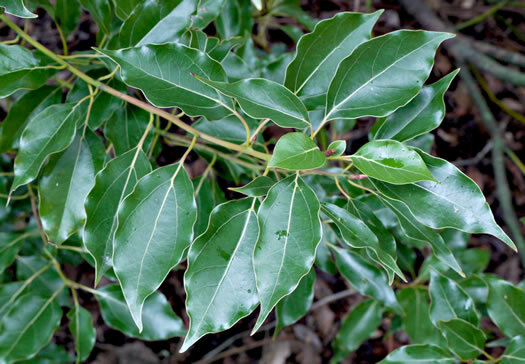 Twigs green, glabrous, aromatic, per Woody Plants of the Southeastern US: A Winter Guide.